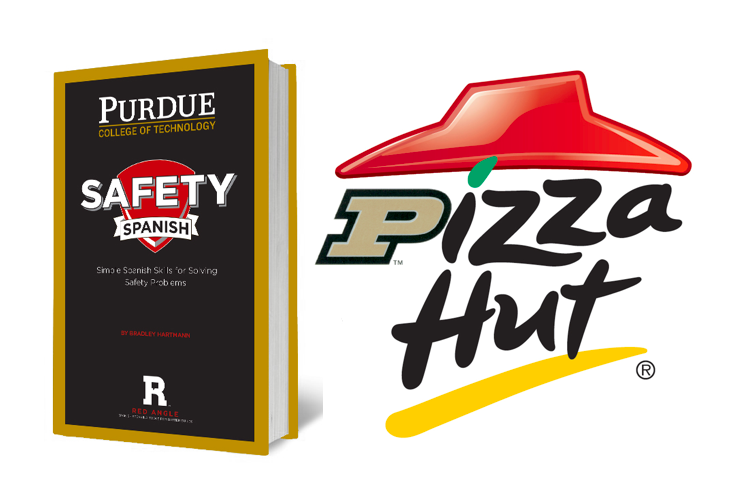 Red Angle and Purdue University recently began Año Dos :: Year Two of our Safety Spanish Partnership. Nestled within the class known as BCM 457 – Safety – is Safety Spanish. Our goal is to provide the young Boilermakers with basic Spanish skills needed to communicate safety effectively on the jobsite. The goal is not fluency; our students will overcome language barriers by communicating the most basic words, phrases & sentences regarding Safety. If these students leave for the jobsite equipped with, “Hey! You! Put on your hardhat/safety glasses/harness/mask/respirator/gloves/safety vest/boots/etc. !” that’s a pretty good start. For many students, Safety Spanish is the worse of two evils when it comes to memorizing OSHA statutes and Español. First I explain I’m not in the business of changing anyone’s worldview. It takes too long, costs too much money, and humans as a species are as stubborn as a jackass. Then I ask how many students had an internship with a GC or contractor. It’s a requirement at Purdue. Then I ask how many worked on jobs with Spanish-speakers. I ask how many communicated with these Spanish-speakers in any way, shape or form. I ask how many think being able to communicate with Spanish-speaking workers would be beneficial in any way, shape or form. The majority extend back up… about 25% are unsure. Their hands make it slightly above their ear, not much farther. 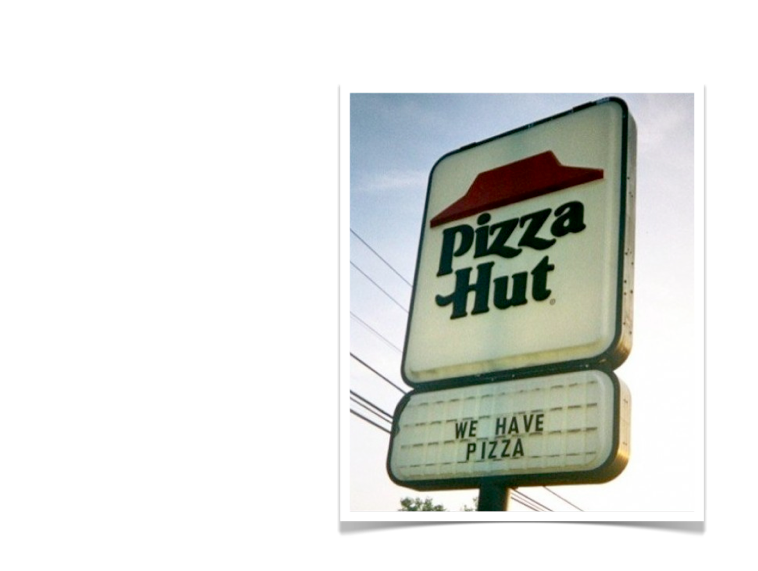 Then I let Pizza Hut do the talking for me. I show them this slide. I call on a few students to get their perspective. Then I add this text. I ask them not to over-think it. 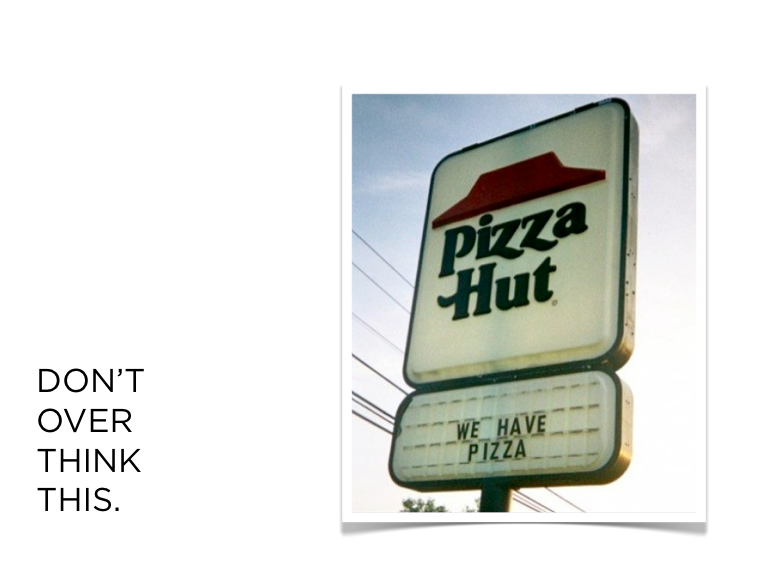 So be like Pizza Hut. Construction managers manage the site and everyone on it, regardless of language preference. Thanks Abby! Hopefully I didn’t bury the lead….